Given the large number of company voluntary arrangements entered into by well- known high street chains in 2018 (often with some controversy), one could be forgiven for concluding that CVAs are a more common insolvency process than administrations, and specifically pre-pack administrations. In fact, the reverse is true, with 290 CVAs during the first 3 quarters of 2018 versus 1,101 administrations, according to Insolvency Service statistics. In this article, Simon Parker a licensed insolvency practitioner at our London Office compares the two procedures. He points out the many advantages of CVAs. Simon also suggests they are not just for large and well known high street business. When a company goes into an insolvency procedure such as an administration it is inevitable that there will be an immediate reduction in the value of the business, caused by loss of people, expertise, contracts and leases by forfeitures etc. A pre-pack administration, which is an arranged sale of a business on the appointment of an administrator, is therefore a legitimate means of preserving value for creditors. Concerns arise where a pre-pack is simply used as a vehicle to enable existing managers to purchase troubled businesses to enable them to replicate the same mistakes at the expense of creditors whilst enabling the directors and shareholders to benefit. There has been much criticism about the misuse of pre-pack administrations and how they might be used by owners to rid their businesses of debt and liability to start over again. Disquiet over secret deals being agreed and the lack of transparency for creditors resulted in the issue of SIP 16 (the Statement of Insolvency Practice) in January 2009 (and subsequently twice upgraded), whereby insolvency practitioners are required to give better information to creditors about the buyer of and the price for the business. The increased use of the pre-pack administration process can be attributed in part to the implementation of the Enterprise Act 2002, providing the administrator with the power to sell in advance of the creditors’ approval of his proposals, and subsequent judgements. Legal cases in recent years have shown that the Courts can be reluctant to interfere with the decision of an insolvency practitioner, although the IP must be seen to be not too closely involved with the sale negotiations leading up to his appointment. To that extent, the pre-pack is not a saviour of businesses and, therefore, an easy route to getting a business back on the road to recovery. Instead, we believe it should be viewed in the context of the two primary objectives of administration: firstly, the rescue of the company as a going concern, or secondly, achieving a better result for the company’s creditors as a whole than would be likely if the company were wound up. 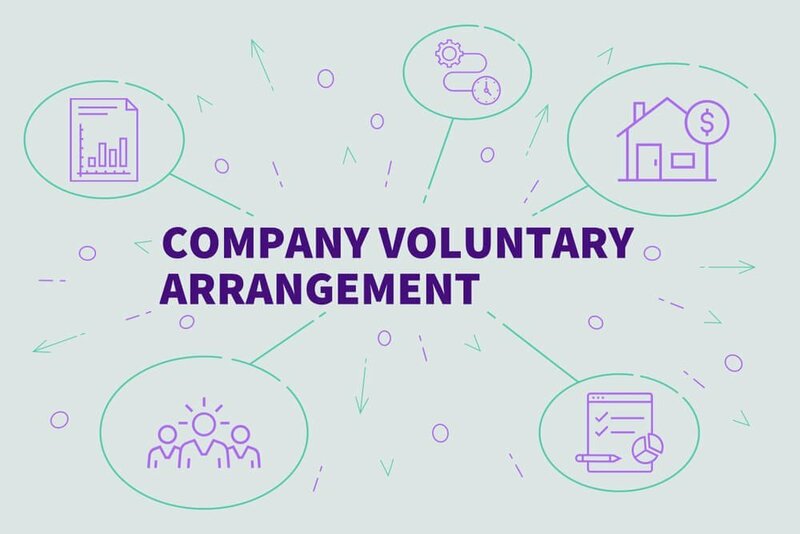 Where do Company Voluntary Arrangements Come in? A CVA is a procedure brought in by the Insolvency Act 1986 which allows a financially troubled company to reach an agreement with its creditors about payment of all, or part of, its debts over an agreed period. It can be proposed by the directors, the administrator or the liquidator of the company but not by the creditors or shareholders. The proposals can include anything, including a sale of the company or an injection of additional funding, for example. When a CVA has been proposed, a nominee, who must be an insolvency practitioner, reports to court on whether a meeting of creditors and shareholders should be held to consider the proposal. The meeting decides whether to approve the CVA. If 75% of the creditors agree to the proposal, it is then binding on all creditors who had notice of the meeting and were entitled to vote. The nominee then becomes the supervisor of the arrangement. What are the Advantages of Company Voluntary Arrangements over Administrations? Creditors will benefit from a better return otherwise they would not approve the proposals. The arrangement allows the directors time to reorganise and restructure the company without the threat of creditor action. Customers do not have to know of the CVA and there is therefore little negative publicity. The insolvency practitioner’s costs are less than for other formal insolvency procedures. There is no requirement for the insolvency practitioner to investigate the affairs of the company as he would have to in the case of liquidation. There is no requirement for the insolvency practitioner to report on the conduct of the directors. The company remains as it is, so tax losses are protected and there are no similar name issues as there are with ‘phoenix’ companies. Inevitably, with the negative press that has been seen this year about CVAs, especially the criticism of the procedure by landlords, there has been a move to reform how CVAs are conducted, and we have looked at this in a separate article. However, our experience has been that behind the big headlines the CVA remains a viable and effective insolvency tool. Click here to see some of our testimonials. With the co operation of creditors there is no reason why Company Voluntary Arrangements with their obvious advantages cannot be used as an alternative to pre-pack administrations, especially at the small to middle sized end of the market. If your Business is in Financial Difficulties, talk to us About a Company Voluntary Arrangement. Our team of Insolvency Practitioners and Supervisors located across our London, Brentwood, Salisbury and Cotswolds offices, has supervised over 170 CVAs, across many business sectors, with the vast majority resulting in a successful return to positive trading. Contact us or call us on 0207 831 1234 for a FREE initial consultation.